A breed club should see itself as the guardian of its breed for future generations. In many breeds there may be more than one club and, in some breeds, there may be an overarching Breed Council that takes on a leading and coordinating role. Breed clubs should be run by committees whose priorities include the health and welfare of the dogs and who, themselves, are role models for ethical breeding. Openness and transparency should be guiding principles of breed clubs and councils and, to this end, their Minutes of Meetings, Health Reports and Future Plans may be available online. All breed clubs are required to adopt and adhere to the Kennel Club’s general Code of Ethics. Many clubs add to this with their own statements on ethical breeding such as earliest age of mating and the requirement for club members to use available health screening tests. While a Code of Ethics is considered to be guidance as it falls outside a club’s Rules and Regulations, committees should have the authority to warn members about their conduct and, if necessary, expel a member. All breeds have to appoint a Breed Health Coordinator (BHC) and many clubs and councils will also have Health Committees. The BHC is the key point of contact with the Kennel Club and for all enquiries about the health of the breed. A health committee is responsible for setting objectives and developing plans to protect and improve the health of the breed. This will include considerations of genetic diversity (such as avoiding the use of Popular Sires and other ways to reduce levels of inbreeding); the elimination of exaggerated physical traits; prioritisation of diseases and genetic disorders through surveys; and the development of screening programmes and DNA tests to improve the health of the breed. An effective Health Committee will work in partnership with researchers, veterinary specialists and geneticists to ensure their plan is evidence-based. A Breed Health Fund should be established to support research into breed-related health problems. The KC is working with breeds to help them develop Breed Health and Conservation Plans (BHCPs). These provide a comprehensive evidence-base of the state of the breed and summarise objectives and plans to address any problems. Each breed should conduct its own surveys into breed health as well as making use of surveys published by other researchers (e.g. the VetCompass project) and the KC. Results should be published and shared openly. Breed club members are expected to cooperate with such surveys and to provide health certificates, DNA test results and pedigree information, if required. Where a breed has health and genetics screening programmes, results should be available in an open registry. This may be on the KC’s Health Test Results website (mykc.org.uk) or the breed club’s own website, so that all breeders, owners and buyers can find out which dogs have been screened and what their results are. Where a breed has several clubs, it is likely that there will be a single Health Website, managed by the BHC and/or Health Committee. Information about health issues and any screening/testing schemes should be available online and may also be notified to members in newsletters. Advice about breeding protocols to tackle problems should be expressed simply and assertively with the expectation that the advice will be followed by all breed club members. This information should be regularly updated. A breed club should organise and fund expert seminars on breed related health issues and genetics, encouraging as many members as possible to attend. Pet owners should be welcomed into the club and their views respected, even though they are not part of the breeding and showing community. The Health Committee may also include representatives of pet owners. Correspondence from pet owners regarding a dog which has a breed-related disease should be dealt with promptly and sympathetically (usually by the Breed Health Coordinator). Currently individual breeders should have their own Puppy Contract with buyers of their puppies and this will explain the buyer’s rights in relation to refunds or help with vet bills, should the puppy be found to have a health problem. 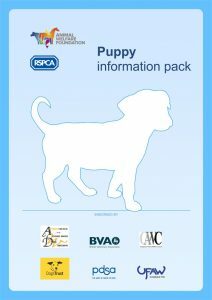 Ideally breed clubs should promote and encourage breeders to use the RSPCA/AWF Puppy Contract and Puppy Information Pack (PIP).